Holding a driver license is not a right. It is a privilege that must be earned and maintained. Consult your doctor about the effects before driving. Have someone follow you home. Keep your window open and drive more slowly. Legal medications, both prescription and over-the-counter, can potentially impair your ability to drive. Always consult with your doctor or pharmacist if you have questions about how a particular drug or drug combination will affect your ability to drive. You should particularly make a point of talking with your doctor if they give you a prescription for a tranquilizer or sedative. Slow to a speed no faster than 10 mph. Change lanes and pass cautiously. The flashing overhead lights and stop arm on a school bus will be activated when the bus is stopped to load or unload students. If approaching a bus using these signals, you may not proceed until the red lights have stopped flashing and the stop arm has been retracted. Never pass a school bus that is dropping off or picking up students. You must change lanes ahead. 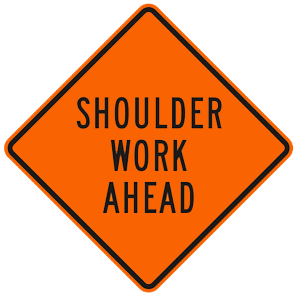 Orange-colored signs indicate construction areas. Proceed with caution. If your vehicle begins to skid, stay off the brakes. Continue to correct your steering until the vehicle is back under your control and moving safely down the road.